Lights & Shadows is a career changing workshop about controlling tone, detail and demanding more. No matter what you photograph or what your experience, this intimate multi-day workshop will have you stretching your creativity and seeing light in a whole new way. This workshop is still available for private events or clubs. If you have questions or need to arrange payments, contact Gavin, effects@seimstudios.com – 509 754 5255. You can also join the newsletter (top right) and the FB page to stay up to date when new events are announced. 3 Day Hands On Workshop | Revised for 2012. The Six Keys to Image Quality. HDR. The new film. Not that new fad. Space, Line, Tone. Using them as one. Strobes and beyond. Better using artificial light. Field Day. Lets go find that light. Mastering Zones, Tones & Visualizing. The Long Exposure. Getting great results. Mastering high dynamic range technique. Night Out. Group BBQ Dinner on Gavin. Burn & Dodge. Mastering hidden magic. Elegant channel editing. When, where, how. Advanced HDR layering and masking. Editing your own images from excursions. Presentation Tactics. Raising the Bar. Make & mount our prints. A final review. in 2012 each student will also receive a DVD of Gavin’s 4 hour video series, EXposed. For further study. “Light, shadow, line and tone and are critical to great images. The nuances of how they connect from capture to digital development are equally important. Lights & Shadows is about half classroom and half field work. We’ll study what lies under the surface of a great image and how to better control light and detail on every level. From making a better initial capture, to presenting a perfectly edited wall print. Lights & Shadows is a collaborative workshop where we’ll be honest about results and learn to demand more of our images. We’ll learn about better exposure, leveraging Zones, tones and high dynamic range. About light, shadow and subtle details. About colors, tones and the delicate quality and presentation that makes a finished piece of art. Whatever place you’re at with your photography, you’ll step up to another level during Lights & Shadows. Whether you have a style that’s modern and bold, or you’re a veteran from the film days looking to make classically inspired images. This is a workshop that will challenge every one of us. We’re going to refine our skill at capturing and manipulating light when, where and how we need it”. Lights & Shadows is for intermediate, advanced or professional photographers in any genre. Photographers that want to challenge their skill, further master light and become better craftsman. There are no specific skill requirements and Gavin will work with each attendee to help them grow. Ideally you should have a digital SLR or mirrorless system, a tripod, a laptop computer and a knowledge of basic editing and photographic tools. We also recommend a photo editing program like Lightroom, Aperture, Photoshop (or similar) and you may also want a HDR tool like Photomatix (You can save 15% with code: PPS15). There are no age restrictions, though attendees under 18 need parental permission. The group will be working in the field during shooting excursions throughout the area of the workshop, then following up with final edits at the home base. Note that transport, full meals, lodging and gear are not provided with the workshop. Though we can carpool during excursions and we will have snacks and water available. Who is this Gavin Guy? Gavin Seim is an award winning photographer and owner of Seim Studio’s in Central WA, where he focuses on high end wall portraits and fine art pieces. He’s the maker of Seim Effects editing tools, the host of the Pro Photo Show and the man behind f164.com. 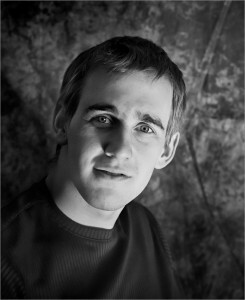 A twenty seven year old dynamo, Gavin has nearly fifteen years experience behind the lens. He’s energetic, passionate and known for his cinematic images, large wall portraits and refined digital workflow. Gavin spends months on the road each year with his wife and three children, exploring, studying, making images and teaching throughout the US. Gavin’s work has been featured in Rick Sammon’s Digital Wedding Secrets, leading imaging podcasts, Venue magazine, The Good Life, the PPA Magazine, Shutterbug, Wall Portrait Conference and more. Attendees have come from as far as the UK for Gavin’s workshops. He’s passionate making images as perfect as they can be and he understands how to control quality and presentation on a deep level. What people are saying about Gavin’s workshops…. “Thanks for the workshop, it was absolutely fabulous (aside from that crazy northern accent!” – Megan Huddleston. I thoroughly enjoyed your workshop and am trying to remember all you taught us! Christie S.
*exact location is subject to change. Costs are subject to change at any time. Booking locks in current price. In the event the presenter becomes ill or otherwise cannot attend, a replacement will be sought. Should the workshop be canceled, damages are limited to a full refund of payments made. **Cancellations: Registrations are refundable up to 60 days prior to the workshop (for individuals). After which they are non refundable. In the event you can’t make it, payment may be applied towards any other Seim Studios LLC workshop.